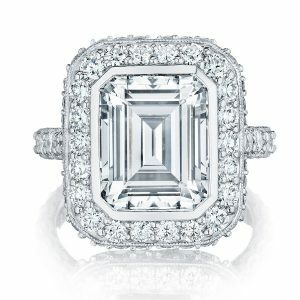 This Tacori RoyalT emerald cut diamond halo engagement ring setting features a CZ center stone measuring 10mm x 8mm, which can be replaced with your dream emerald cut diamond starting at 3 carats. 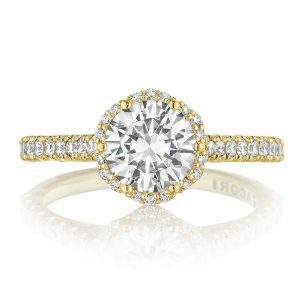 Around the halo and traveling three-fourths of the way around the band is approximately 1.77cts of pave set round brilliant diamonds. 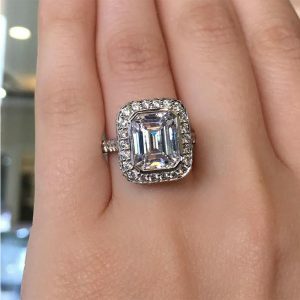 As you look at the profile view of this Tacori setting, you will notice the intricate diamond details and a tiny milgrain design around each side of the setting. 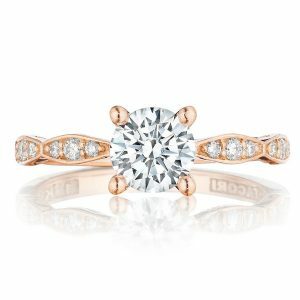 With this Tacori RoyalT setting you can choose your preferred metal type between platinum, 18k yellow, white or even rose gold. 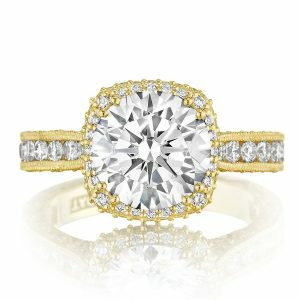 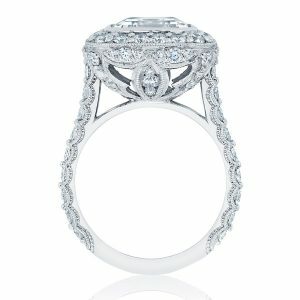 This Tacori RoyalT engagement ring is a truly beautiful, contemporary design with a twist of vintage flare. 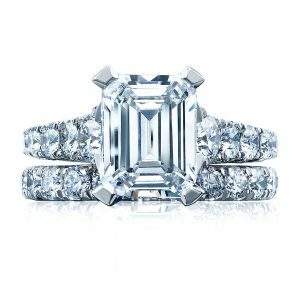 See more Tacori engagement rings. 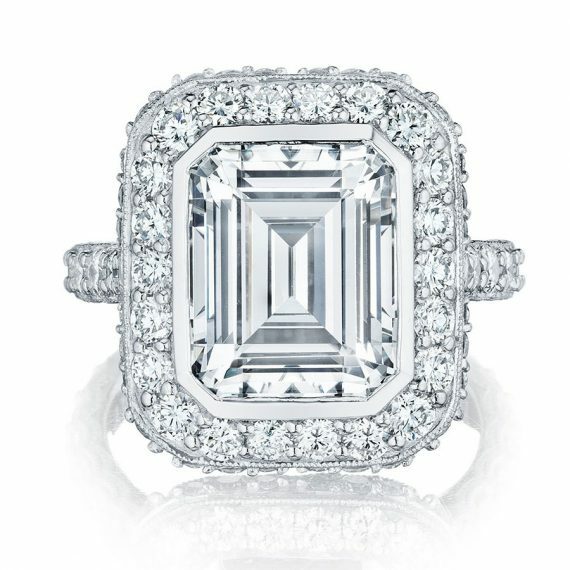 Center Diamond Details Can accommodate an Emerald Cut Diamond starting at 3 carats.